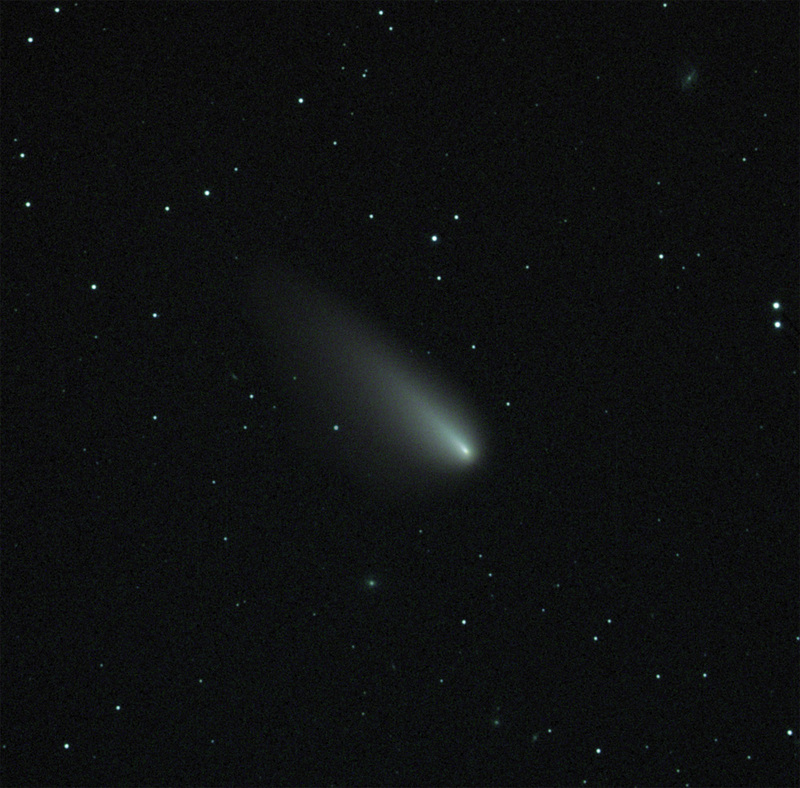 I’ve been imaging Comet Lemmon the last week or so. There’s only about 1/2 hour of imaging time available each day just before dawn. At about 4:00 AM Comet Lemmon is 20 degrees or so off the eastern horizon and just barely imageable until about 4:30 when the sun starts to rise. 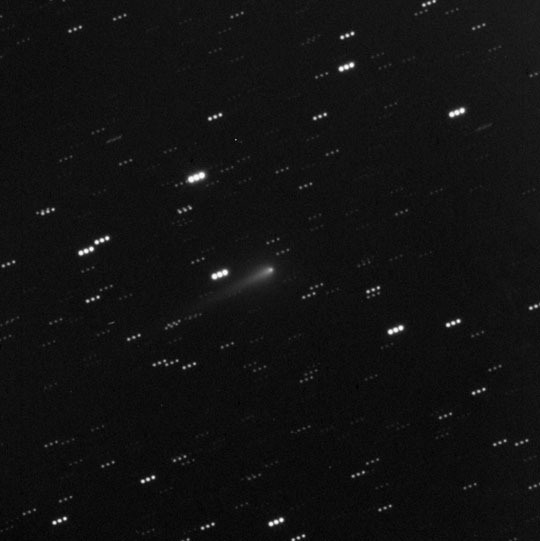 I’ve been experimenting with a few different imaging strategies and found that a single frame 2-3 minute LRGB seems to have the best results. If there were more time I could capture a deeper exposure, but 1/2 hour doesn’t really allow for enough time. Here are the best images of the comet I’ve captured over the last week. 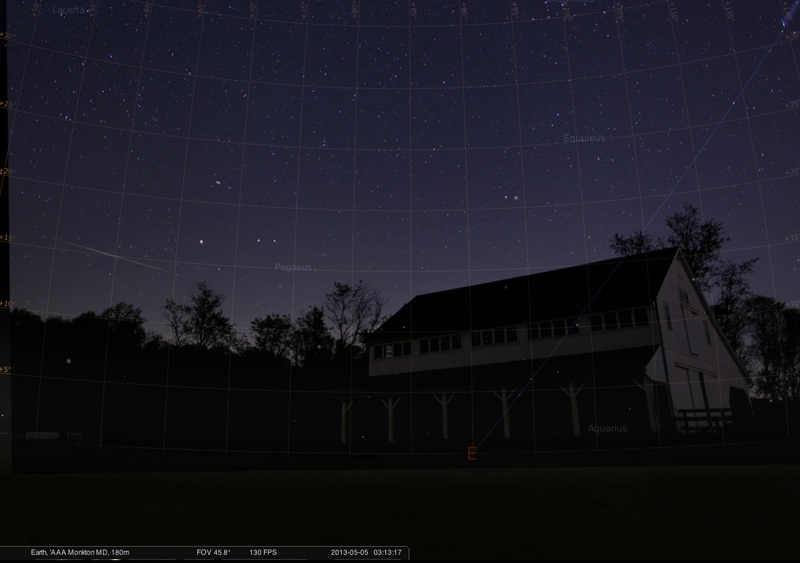 Anticipating clear skies for the Eta Aquariids peak, I finalized the setup of 3 Watec video cameras during the day and shortly after dark, started shooting with my DSLR. Unfortunately, the new PC was set to automatically do a windows update at 3:00 AM and rebooted causing the meteor capture software to permanently exit. 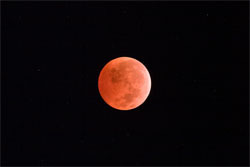 Despite a clear sky weather report for the entire night, clouds rolled in around 3:30 right as things were getting started. But, as luck would have it, at 3:13 AM, while the radiant was on the horizon, I caught a nice bright Eta Aquariid Meteor right over the barn! 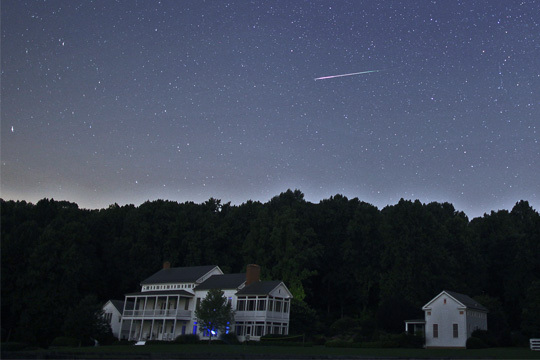 Now I knew that the radiant would be rising in the East around 3 am, directly over the barn, so when I saw this meteor I recognized it right away as an Eta Aquariid, but I wanted to confirm it with a sky chart just to be sure (i’ve got a bad habit of mis-classifying some of my meteor photos!) . Here’s the picture layered over a start chart for that moment in time. The meteor shower will be active for the rest of the month, so I may get another chance to catch some more of these. As time goes by and Comet Panstarrs flies deeper into the solar system, while it grows dimmer, its view-ability through a telescope is becoming increasingly better. Each day it rises higher in the morning sky and we have a few more minutes of visibility and time to image. I stepped up my exposure length this session, imaging each channel for 4 minutes. I was able to loop over these 5 times for LRGB and acquire 20 minutes of each channel. Turned out pretty good. 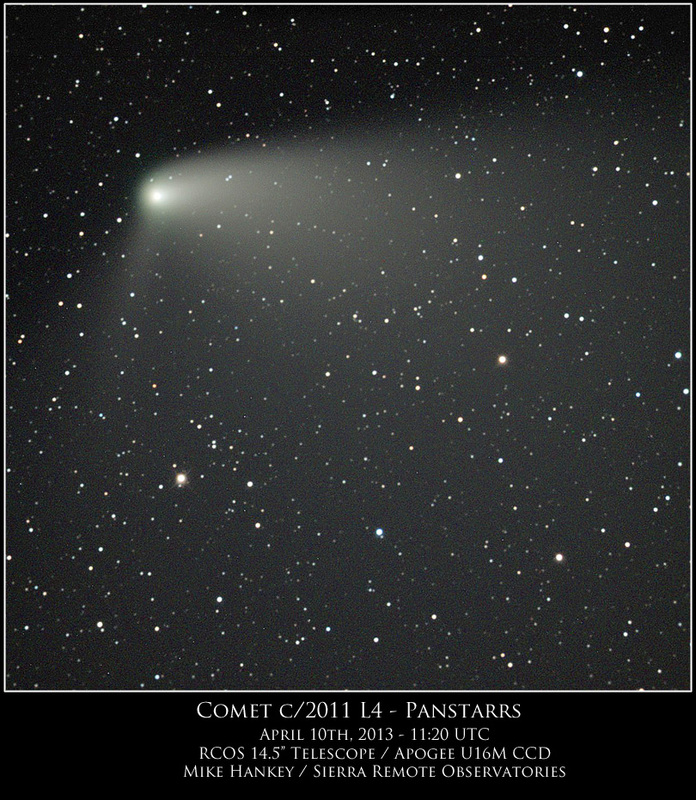 The last week or two, there’s been a 45 minute window each morning to catch comet Panstarrs in the north east sky. I missed the western evening view in March, as it was to close too the horizon, but this morning north eastern view is working out pretty well. 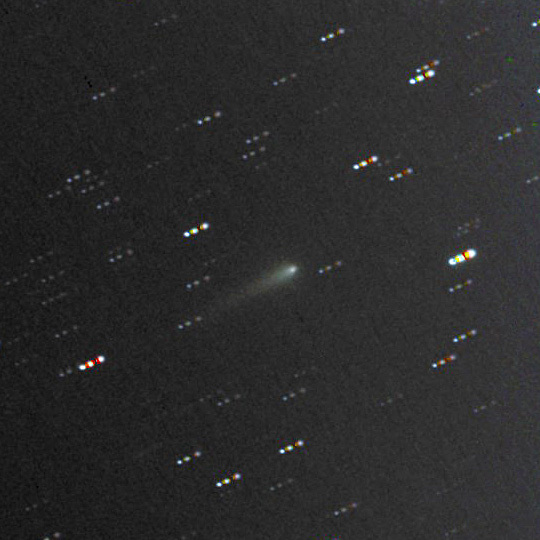 Here’s a 30 second X RGBL image of Comet Panstarrs. 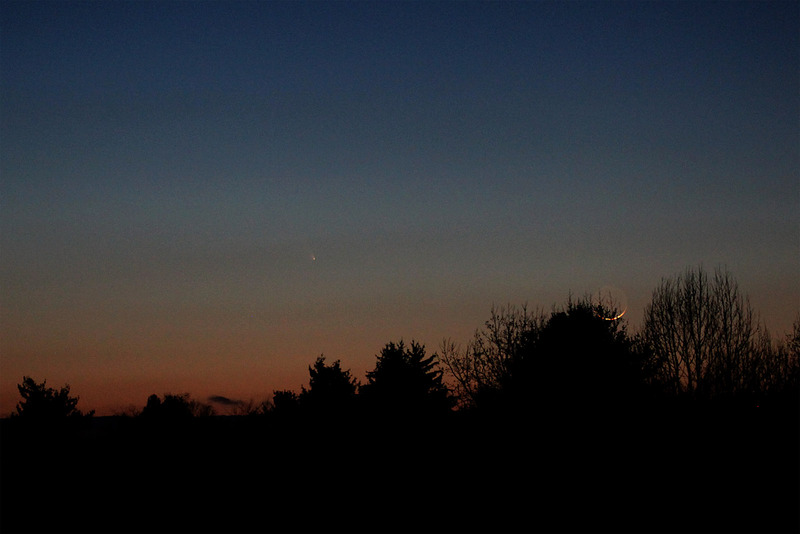 Here’s a photo of Comet Panstarrs and the Crescent Moon from earlier tonight in Monkton, Maryland. 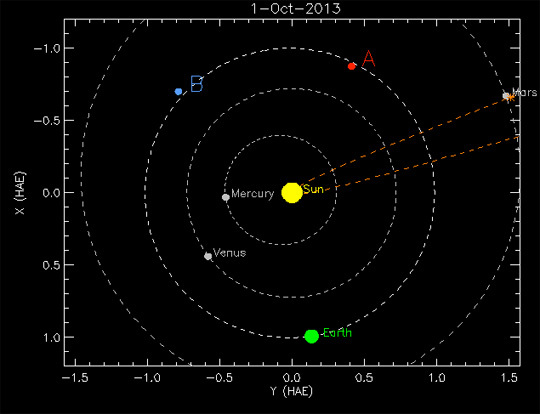 Coincidentally, yesterday was also the day Near Earth Asteroid 2012DA14 passed by at 27,743 kilometers (17,239 mi) above Earth’s surface. 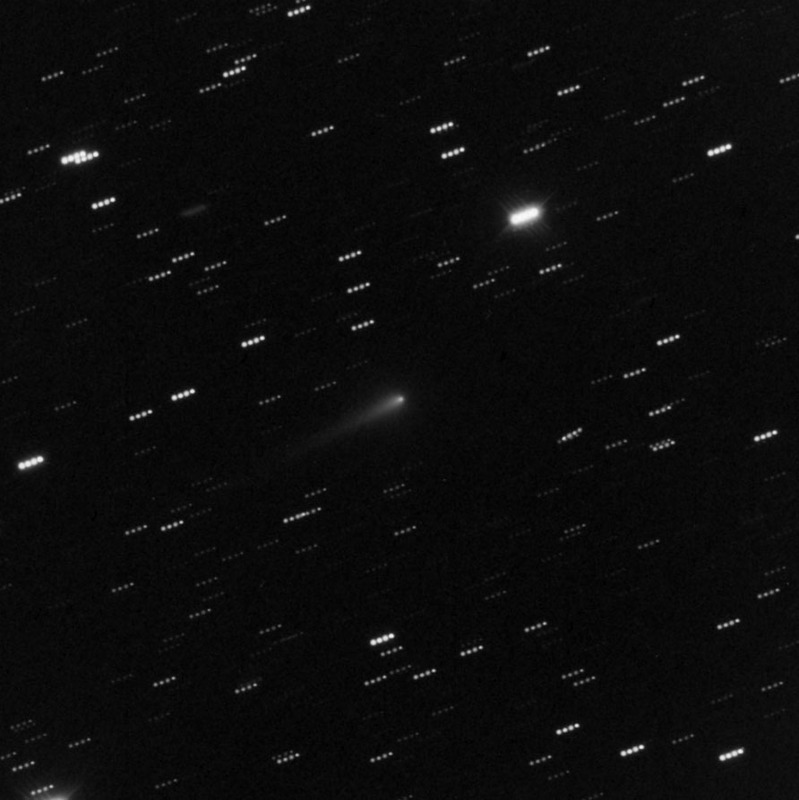 I had wanted to image the asteroid last week, but due to it approaching from below the Earth, it was only visible from the southern hemisphere. 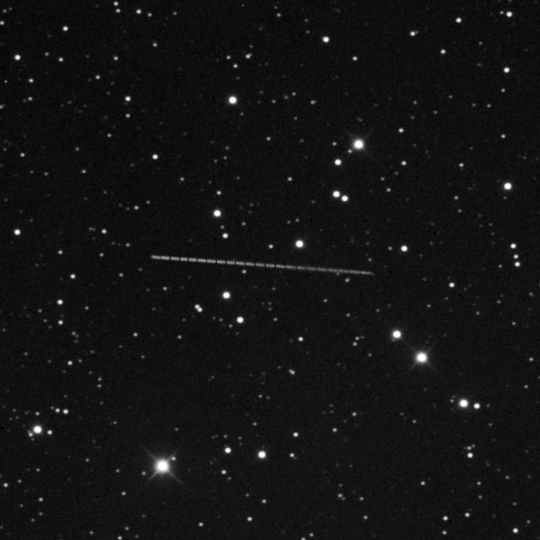 By chance, I was up late last night doing some work on the scope and I had previously tagged the asteroid in the SkyX (telescope control program). I noticed it was out and realized that after its closest approach it was now moving away from northern hemisphere and thus I could see it nicely from California! 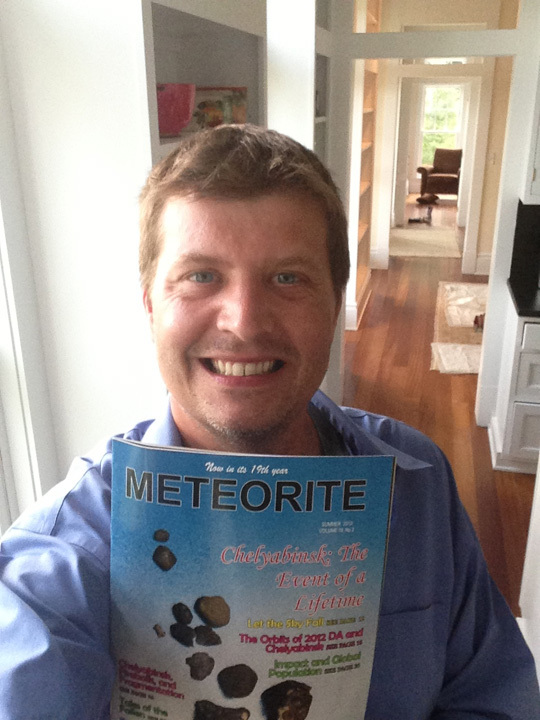 I shot the asteroid for about 2 hours. 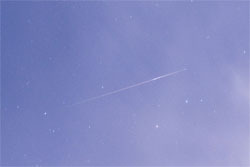 Here is a composite image of 20 2 minute frames. There is a short pause in between each frame. The asteroid appears to get brighter as it moves, but i think this is really just the effect of clouds / seeing in between the shots. 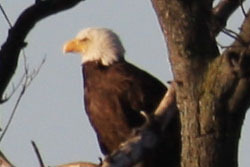 Here is an animation of the same series of pictures. 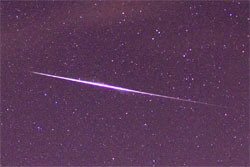 *The streak that appears towards the end of the animation above, I believe is a part of a satellite flare. 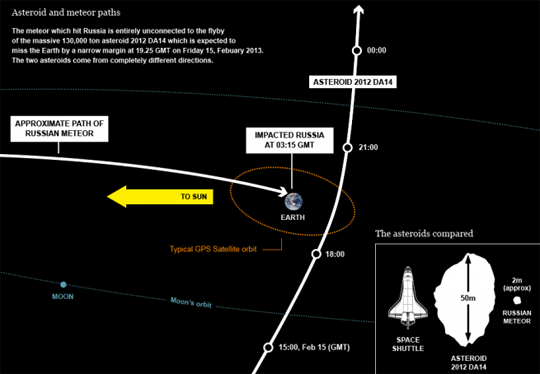 Also to note, the Asteroid 2012DA14 and the Russian meteor are NOT related. 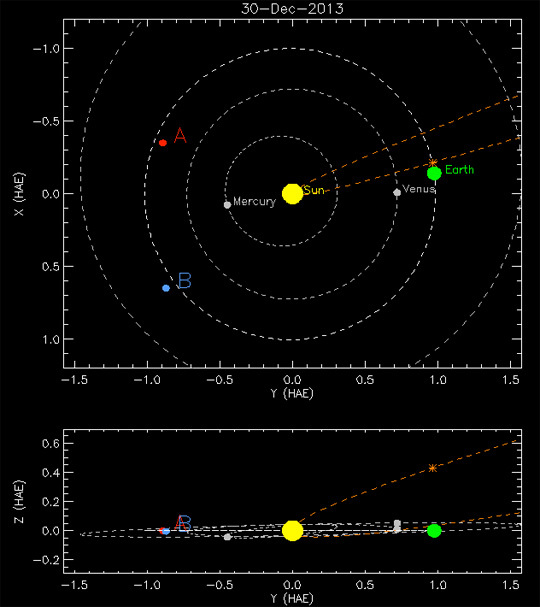 Below is a diagram of the orbits created by SETI which clearly shows how these two events could not be related to the same stream of meteoroids. 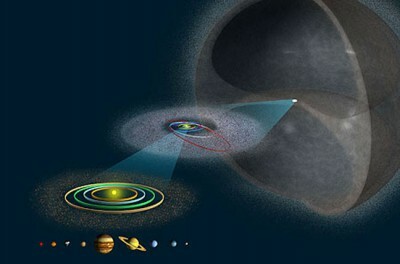 See this graphic from SETI & Wired magazine, click graphic to read article. I bought my first telescope before the new year of 2009 and took my first astrophoto on Jan 7th, of that year, literally 4 years ago today. 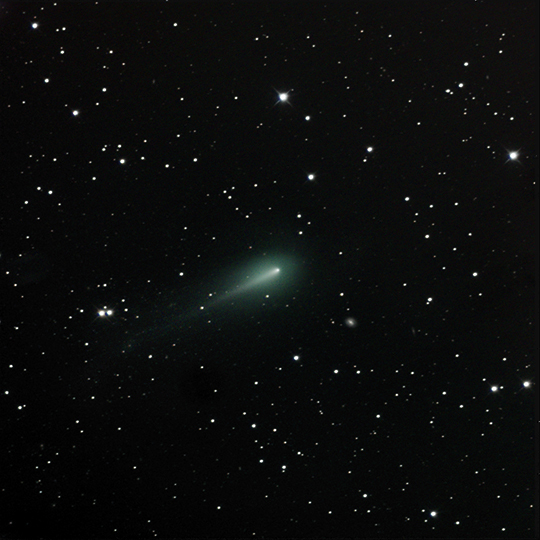 The inspiration that compelled me to buy that telescope, look up at the sky and document what I saw is still going strong four years later and it kept me up until dawn last night imaging comet K5 Linear! 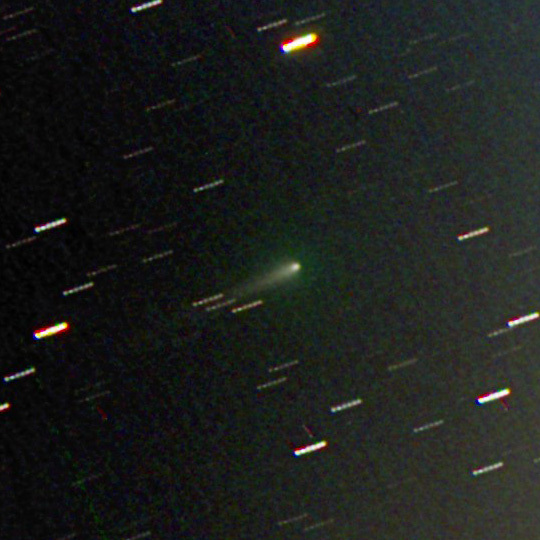 This comet was discovered in May of 2012, went around the Sun in November and just past Earth a few days ago on December 31th missing us by a mere 28 million miles. Yesterday, January 6th was the feast of the Epiphany, a Christian Holiday celebrating the revelation that God was born as a human being in Jesus Christ. 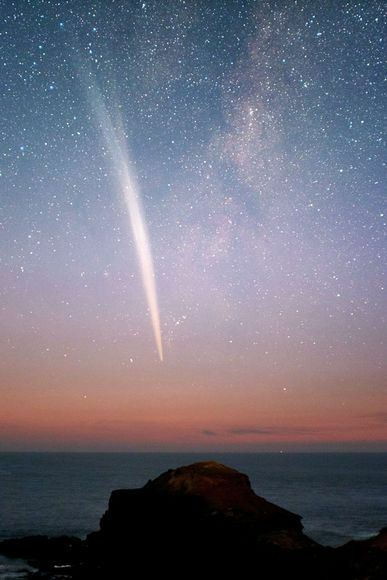 Many scholars hypothizize that the star that led the magi to Bethlehem to celebrate this revelation could have been a comet. For me astronomy, has been a great Epiphany and the joy that comes from learning about the Universe is all powerful and never ending. Peace to you in 2013! 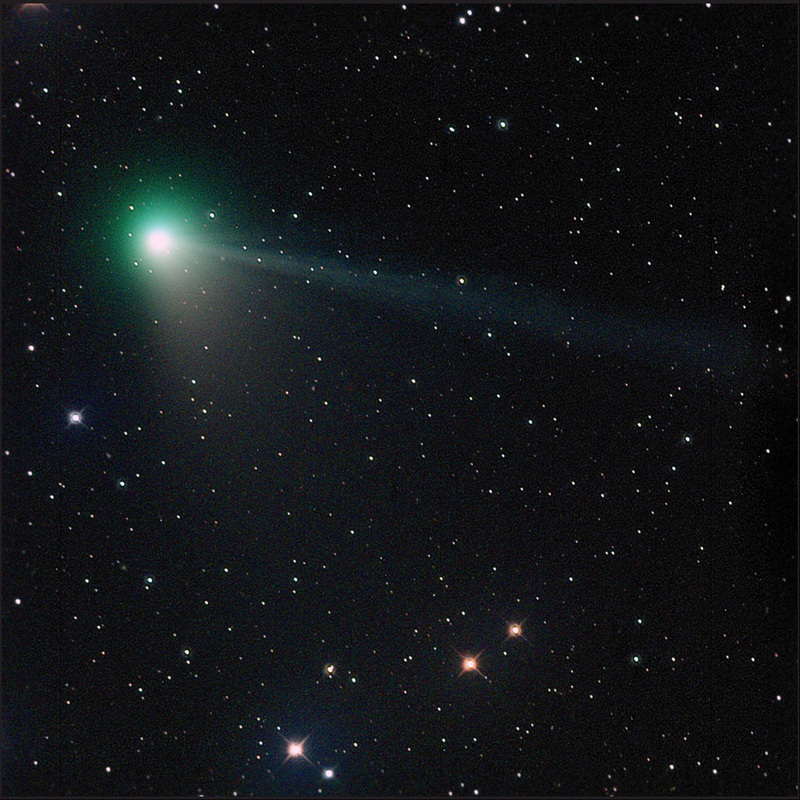 Here is a brief tutorial on how to image comets. 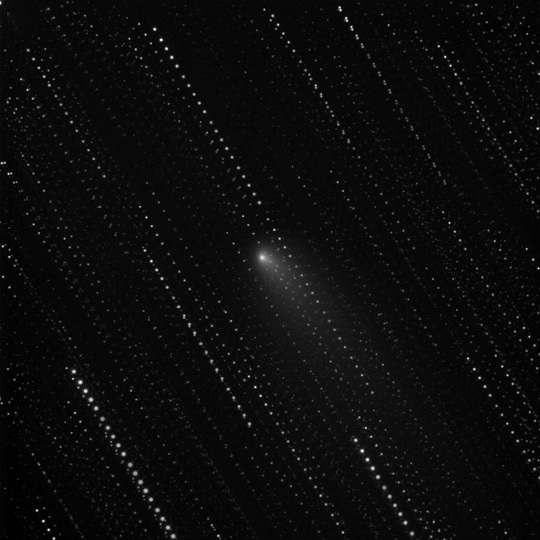 Imaging comets is a little tricky because they are moving pretty quickly and you have to take short exposures or else the comet will streak through the picture. 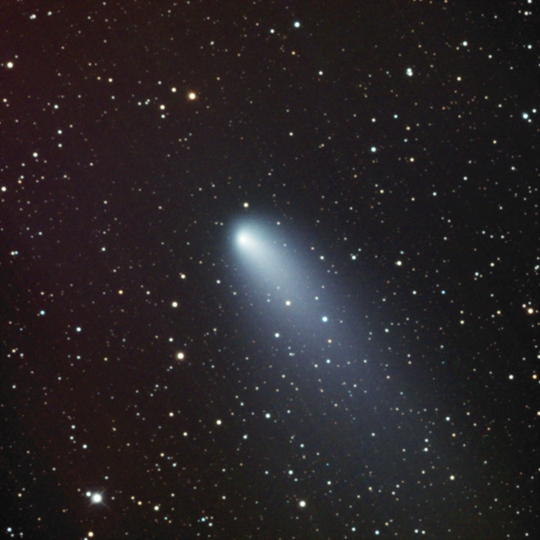 You can track the comet, but then the stars in the picture will streak. 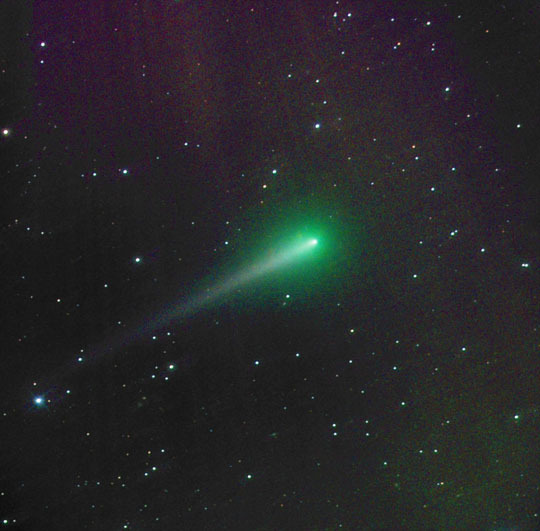 There are additional challenges when trying to get a color photo because by the time you cycle through the red, green, blue and luminance filters the comet has moved significantly enough to cause alignment issues within itself (not to mention the stars). 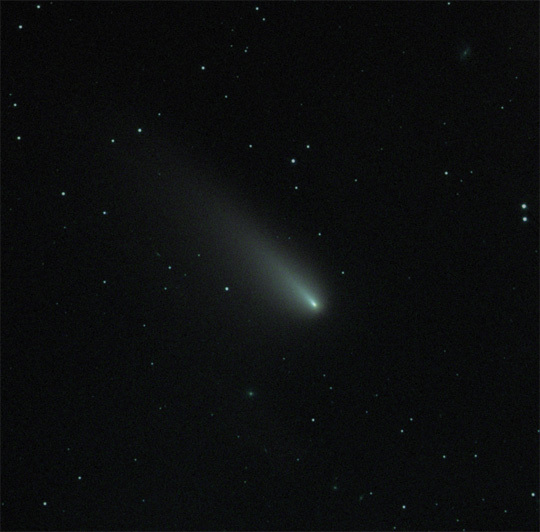 Over time, I have learned a few tricks about imaging comets that I will explain here. 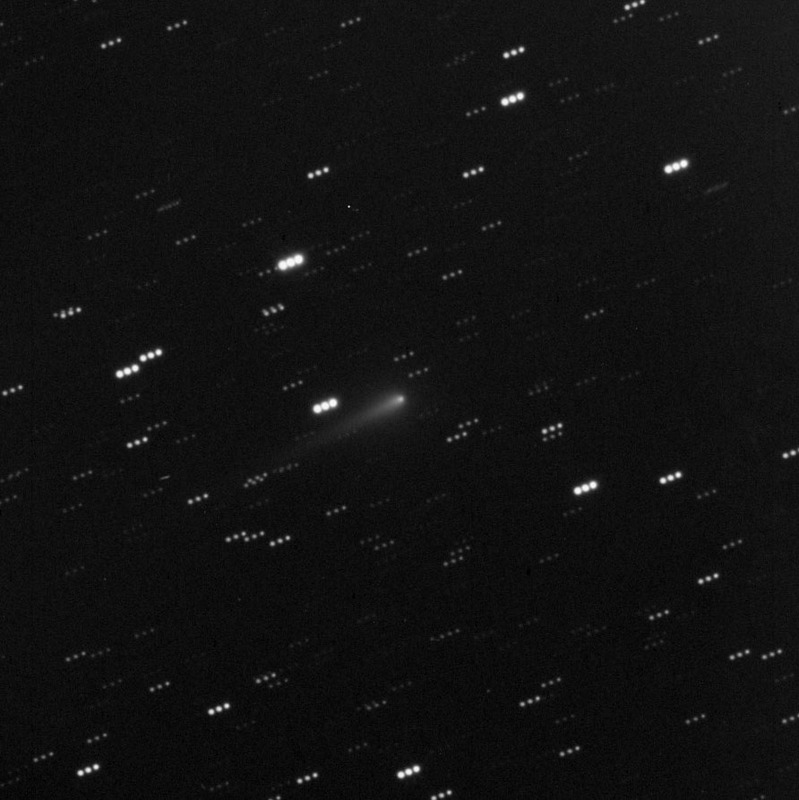 First, here’s the trick — to get your final nice comet image you need to be able to stack on just the comet in one picture while washing out all of the stars and then with another picture, you stack on the stars and wash out the comet. Once this is done you combine the two images into the final product. If you’re doing this for color, then its the same process you just have to do it 4 different times (once for each color channel RGB plus the clear Luminance filter). Now here’s the trick, in order to wash out the stars and the comet, there needs to be sufficient space in between the stars and objects in all frames — the stars can not overlap. In order to run the error suppression routines, the stars must have spaces in between them. 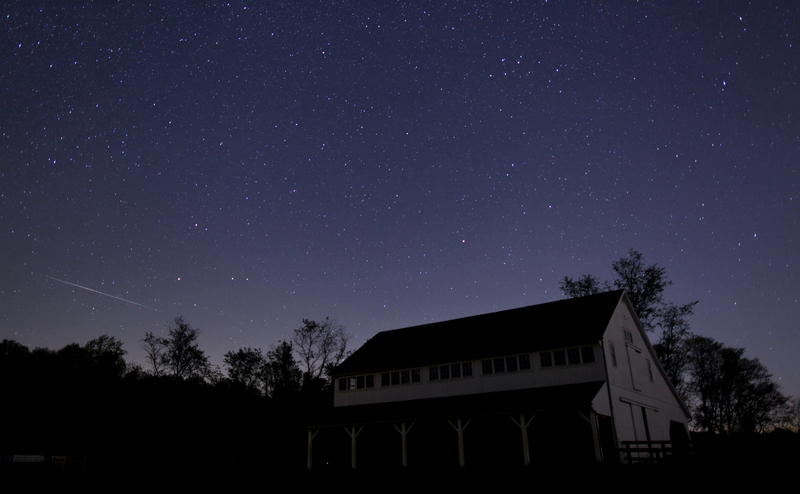 Here’s an example of a single 60 second exposure using the Luminance filter. We will need 20 of these before the final luminance channel can be completed. 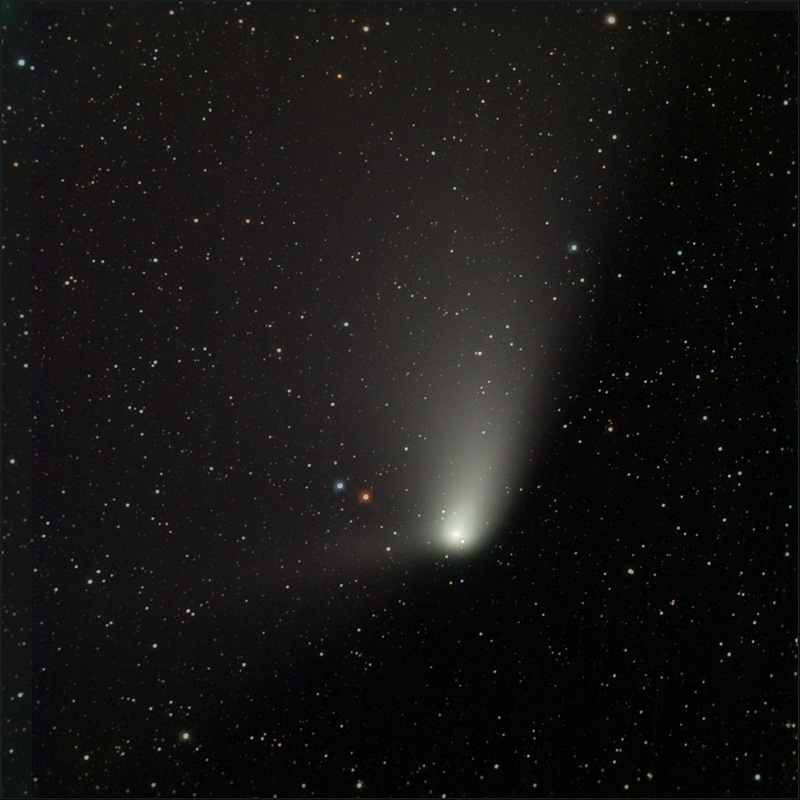 Knowing that we need to space out the exposures to allow the comet to move enough so that the stars don’t overlap in-between frames, the most efficient way to acquire the data is setting up a loop that switches filters in-between each exposure, for example: Red, Green, Blue, Lum, Dark, Pause, Loop x 20). I throw the dark in there because we will need to calibrate the pictures and this is a nice way to use some time and space it out a little more. 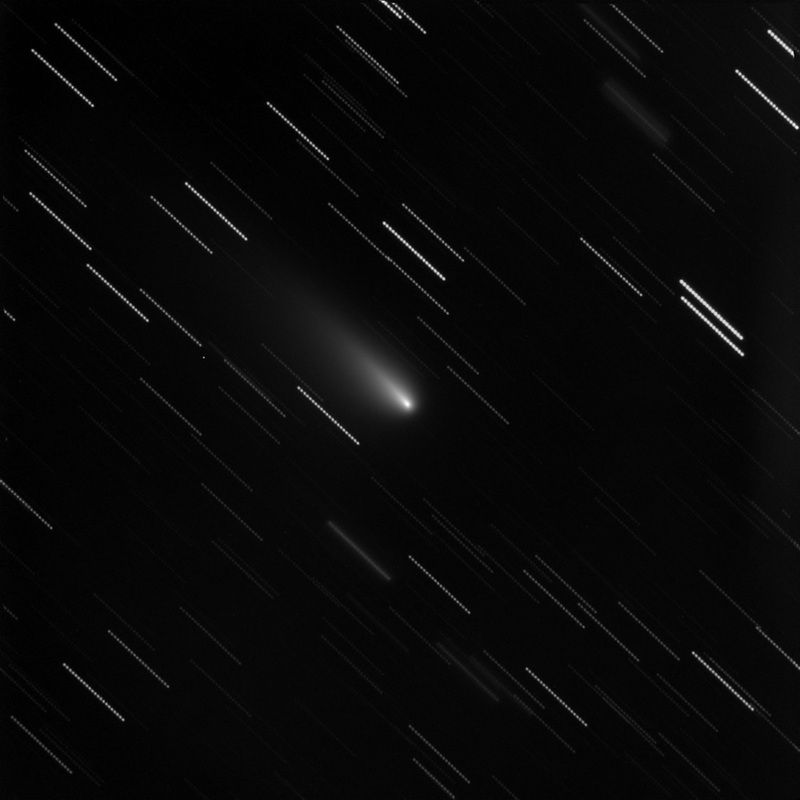 The pause time may not be needed or it can be whatever is necessary to space out the comet in between frames. If you setup the acquisition routine like this with a 10 second pause there will be at least 5 minutes before each filter repeats. 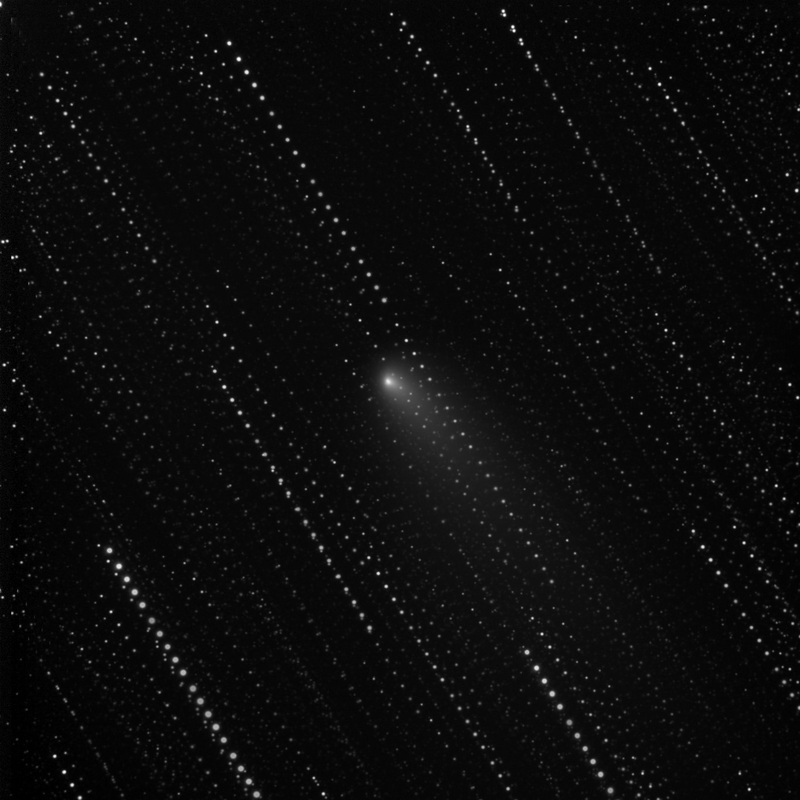 Now once we have collected our data if we were to align the frames centering on the comet itself and then stack without error reduction the image would look like this (note the spaces in-between the stars). Using poison sigma error correction we can then wash out all of the stars during the stacking process. Poison sigma will essentially delete anything that is not the same between two frames, so if the stars are not touching they will be deleted. 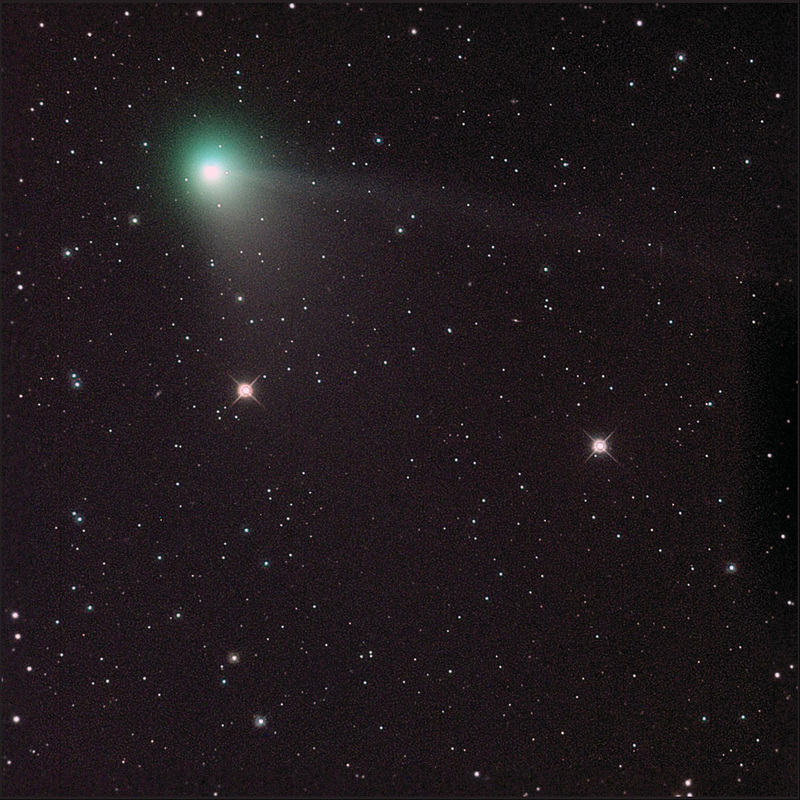 Once we have done this for all of our frames (Red, Green, Blue, Lum) we combine them to make the color image of the comet. 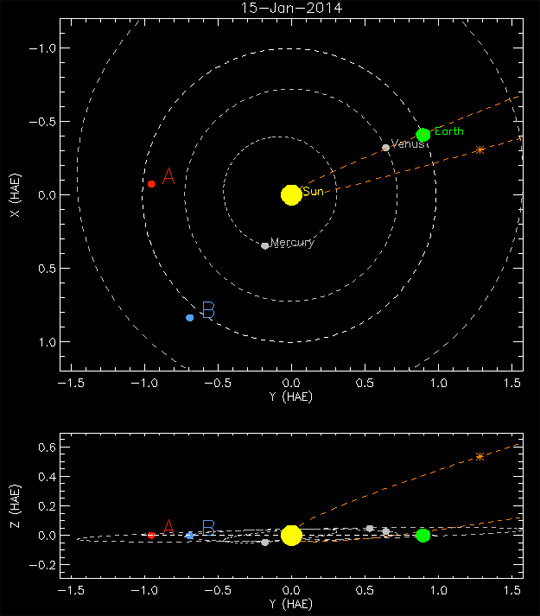 We can then re-align the frames on the stars and use the poison sigma error reduction to wash out the comet. Now that we have our two color master frames, we can line them up together as layers in photoshop. 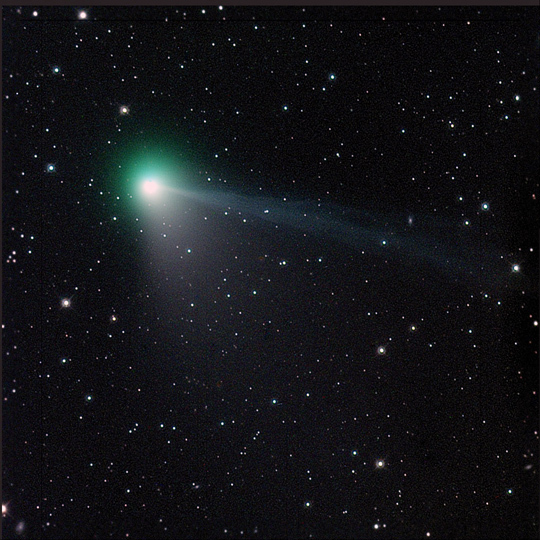 Put the comet on top and then change the layer type to Luminosity and wa-la! 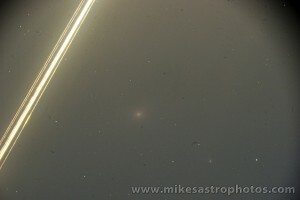 The final comet image is ready! It took 80 pictures exposed for 60 seconds each to create this final image. 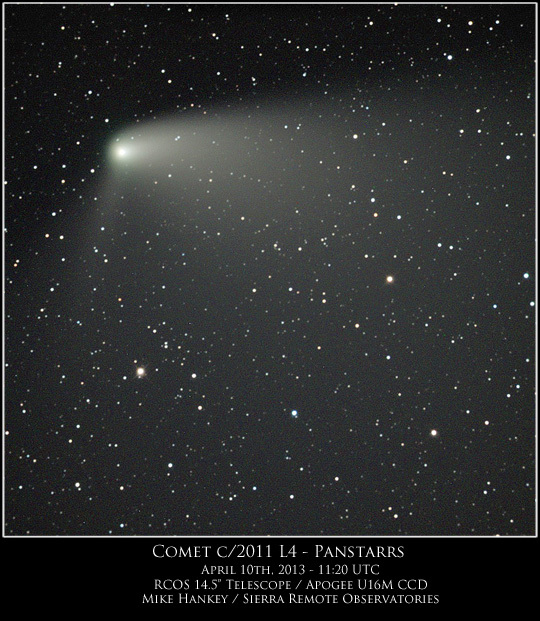 Comet C/2012 K5 (LINEAR) was discovered by Lincoln Laboratory Near-Earth Asteroid Research project in May of 2012. 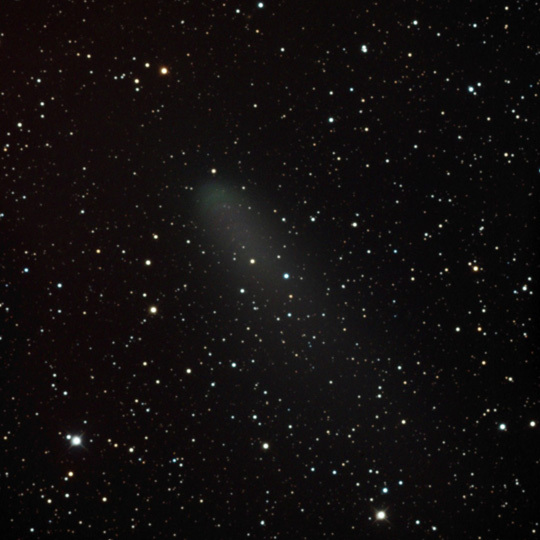 The comet is just now starting to get bright (magnitude 10) and is in a convient location for night time viewing. 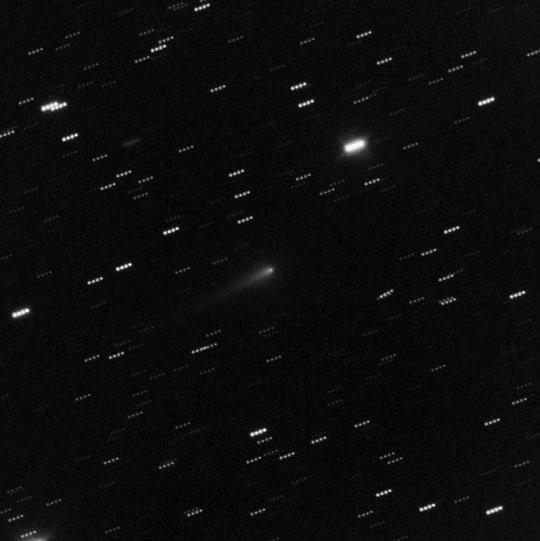 I spent a few hours last night checking out the comet and taking some photos. 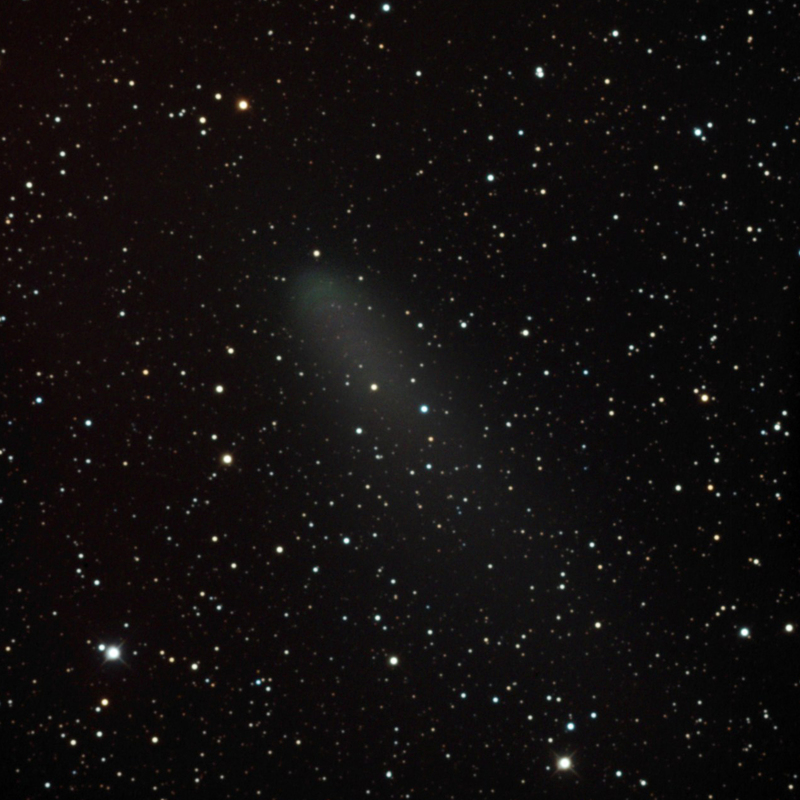 Here’s a color photo of the comet taken with 20 minutes of luminous data and 1.5 minutes of RGB data (30 seconds each). 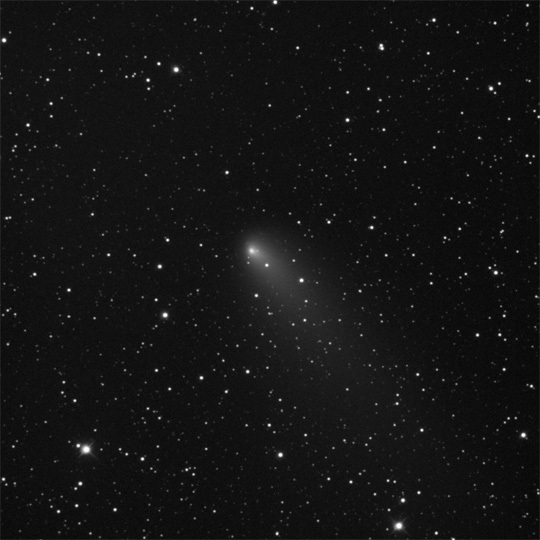 The comet is moving fast against the stars which makes imaging it a bit of a challenge. 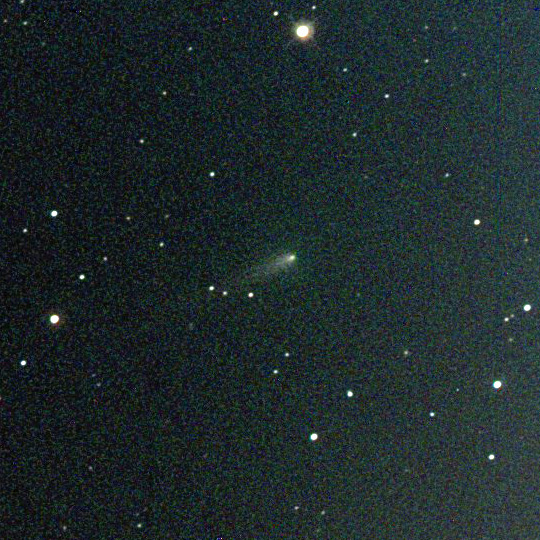 The trick is to filter out all of the star trails and just stack the comet, and then combine that with an RGB picture of the star field. Here’s my first attempt at this method. 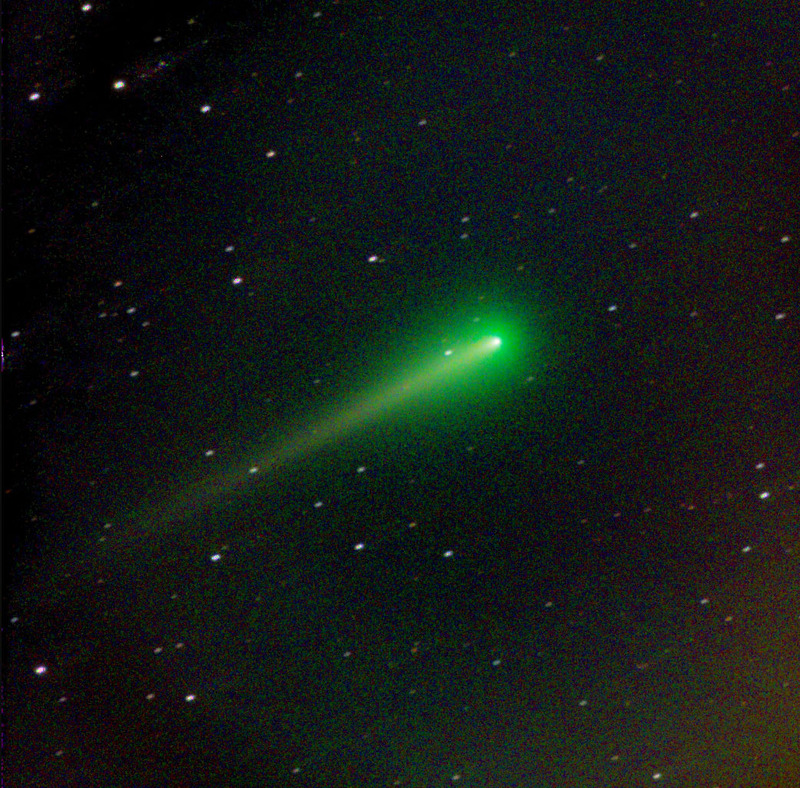 Without the extra processing to remove the trailing stars, the image looks like this. 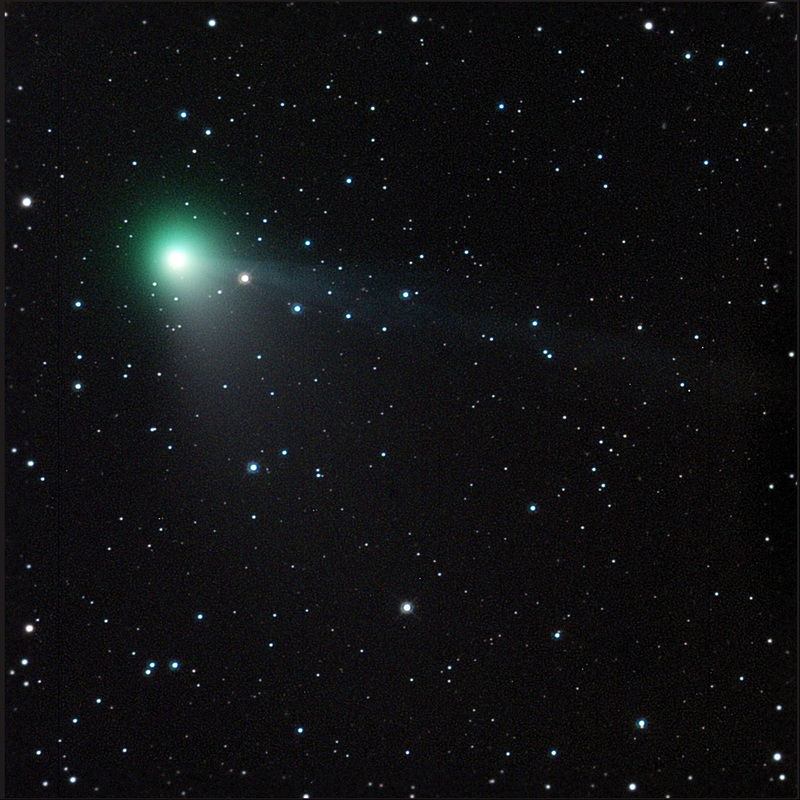 This comet can be seen with a low powered telescope, binoculars, or even a DSLR camera. 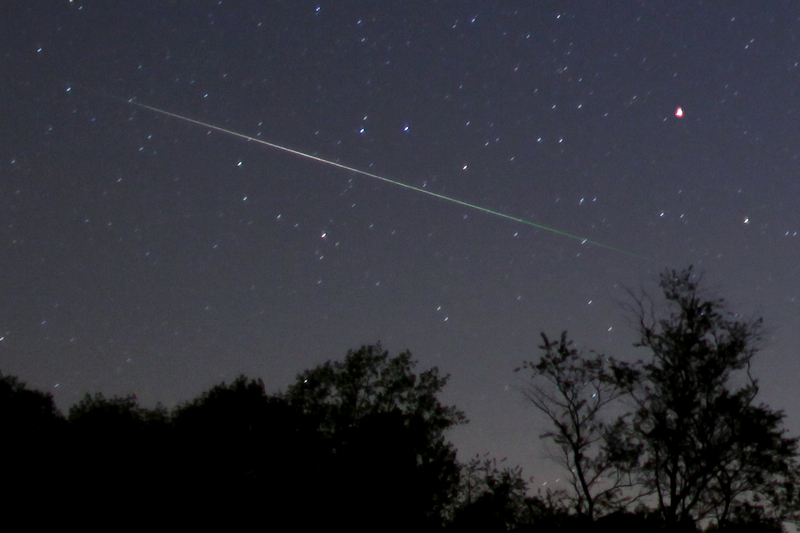 Its currently inside the big dipper the next couple of nights. 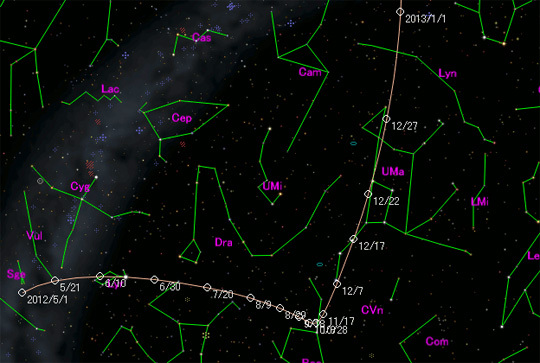 Refer to the star map below for placement over the next few months. Star map courtesy of Seiichi Yoshida.